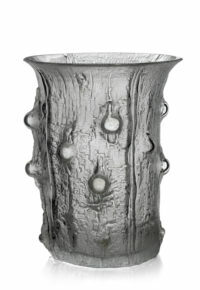 Although made using historic techniques, this avant garde, Modernist design reverses the traditional production process. Typically, a piece would be cased in another colour, and that outer casing would be cut through into the body with the design. 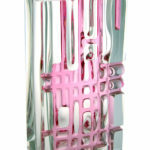 Here, everything else but the pattern itself is cut. 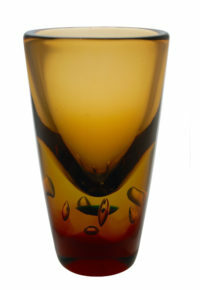 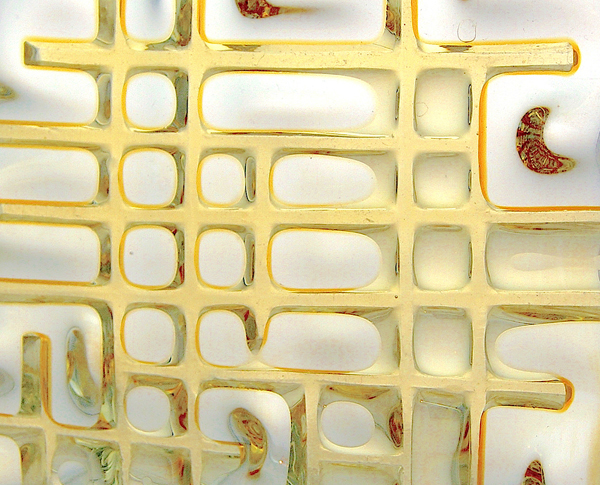 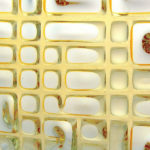 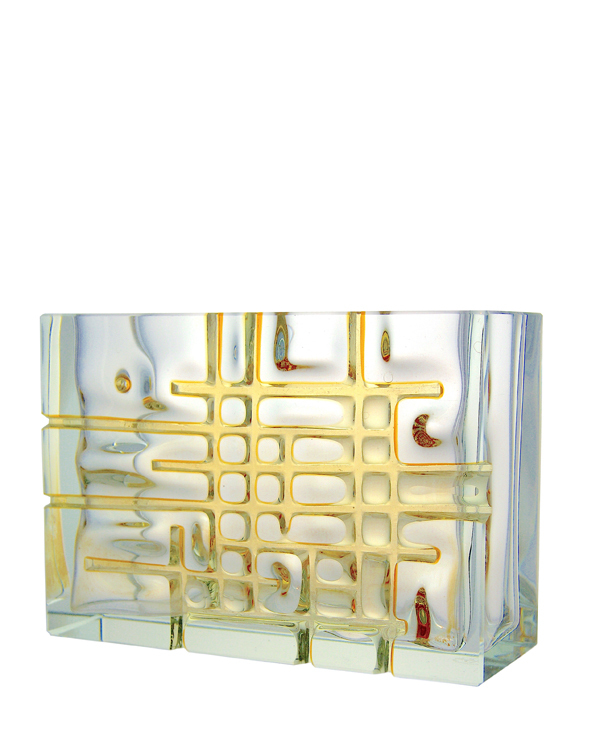 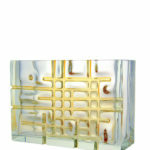 A large colourless glass gob was overlaid with a thin layer of gold-yellow coloured glass and blown into a mould with the raised grid pattern inside one side. 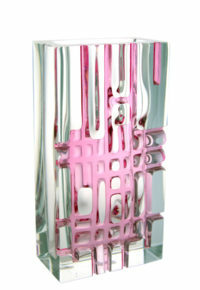 When cool, the top and bottom and the four flat sides were cut and polished. 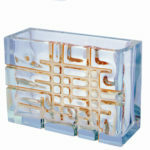 As the raised mould impressed the coloured glass into the pattern, it was not removed when the final form was cut. 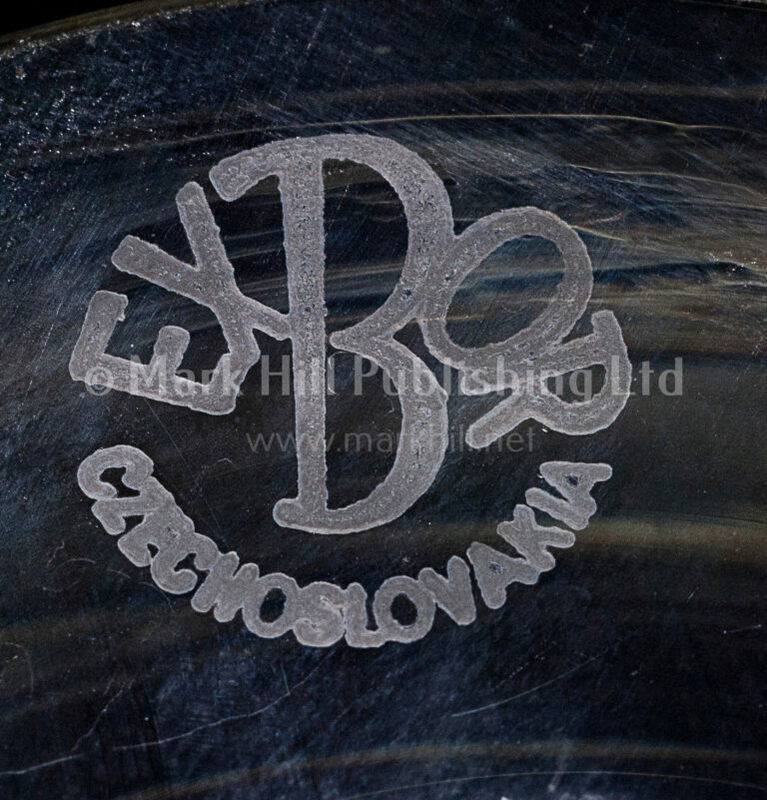 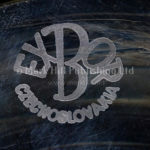 Once corner of the base is boldy marked with the Exbor acid stamp, a similar example of which is shown in the detail images. 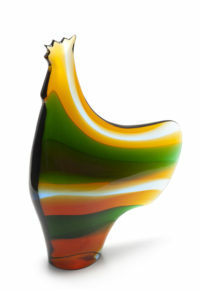 7.25in (18cm) wide, 5in (12.7cm) high. 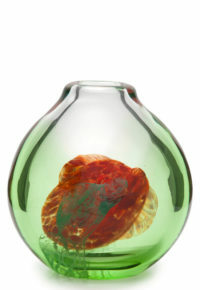 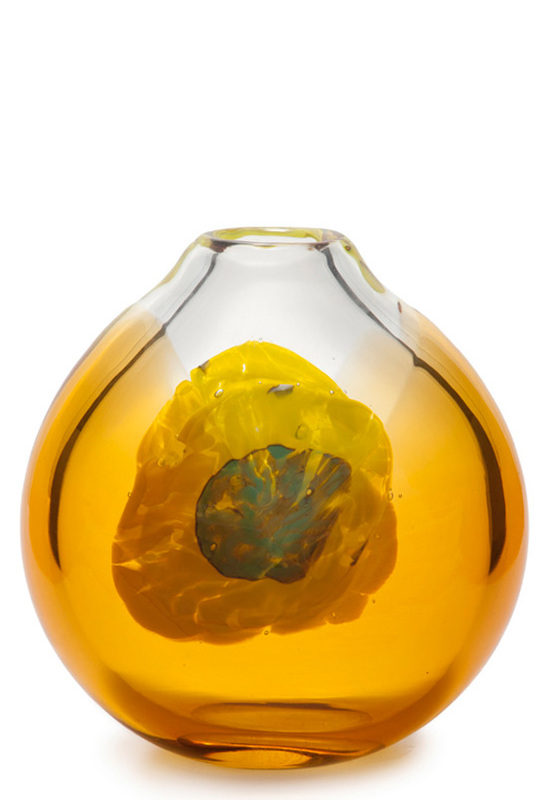 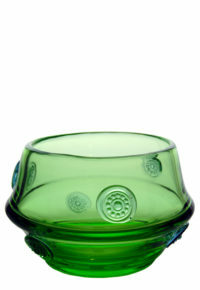 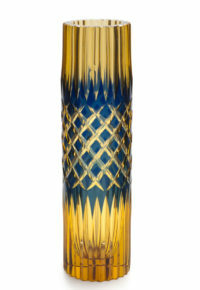 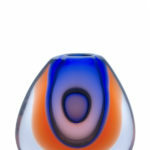 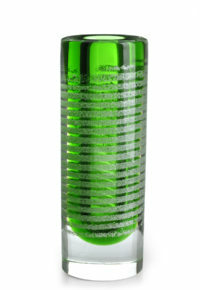 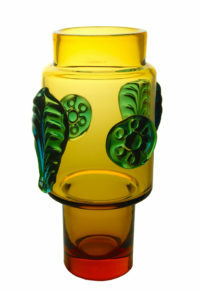 This range was featured in a number of issues of the state trade periodical Czechoslovak Glass Review, and a vase form of the same pattern and colour was shown in Hi Sklo Lo Sklo: Postwar Czech Glass Design from Masterpiece to Mass-Produced by Mark Hill, published by Mark Hill Publishing, 2008, p118.